All orders received are subject to acceptance and approval by Meca Sportswear, Inc. The credit card used to purchase this garment must either be the property of the purchaser or must be approved by the credit card holder. The garment will be custom made to your specifications. This is a one of a kind item proudly displaying your accomplishments and customer pride. All sales are final and cannot be modified or cancelled due to the unique nature of this product. 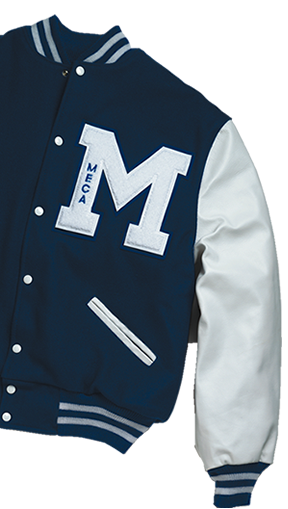 Meca Sportswear, Inc. guarantees its products are manufactured with the finest materials and workmanship. If for some reason, the merchandise is defective, the jacket must be returned to Meca with in 30 days. All returns must be pre-approved by customer service.